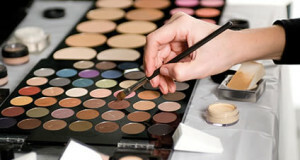 Learn why partnering with Motives cosmetics could be the perfect business opportunity for you. YOU have a unique and lucrative way to utilize Motives, the award-winning cosmetics line by fashion icon Loren Ridinger, to increase your profits and still maintain your independence, personal taste, and creativity. Remain in charge of your business, style, and image, while collaborating, at your pace, with a team of dedicated and respected professionals. Profit from superior-quality products, exceptional business strategy, and cutting-edge technology. Bolster your financial success by doing what you love. Contact me for more information about using Motives for your business. Let’s see if we can make Motives work for you. I invite you to learn how to efficiently and consistently bring in more income without sacrificing time spent pursuing your passion for Make-Up! Equip yourself with a complete, already-built, E-commerce-enabled web presence. Enjoy the ease of our streamlined online interface, which allows overhead costs to be very low and allows you more time with a brush in your hand, rather than crunching numbers and navigating complicated logistics. Get paid for every Motives purchase made on your namesake or generic website, as well as direct sales (if you choose) to clients. Stop sending business (and dollars) to the big chains and department stores you’ve been referring your clients to and, instead, recommend cosmetics of equal, if not superior quality, and make money in doing so. Create custom foundations to ensure client satisfaction, create loyalty, and generate repeat business. Have access to providing premium and exclusive cosmetics offered at a mainstream cosmetic price-point. Motives is only available through people like you…your clients cannot go to a store to get it…they have to return to YOU. Grow your business and following with the exclusivity and magnetic allure of Motives by Loren Ridinger: Worn by celebrities (Jennifer Lopez, Alicia Keys, Taylor Swift, Brooke Hogan, Eva Longoria). Praised in numerous Fashion and Style magazines (Redbook, Everyday, Miami Modern Luxury, People Magazine, Self). Featured on Bravo’s The Fashion Show and Project Runway. A personal initiative and dream of Loren Ridinger that turned into a very profitable and established company, Motives is a multi-million dollar division of Market America, an innovative and truly one-of-a-kind organization that has not had a losing quarter in its entire 20-year existence. We would love to achieve even greater success with YOU! That is great news. I just sent you more information by email. I look forward to speaking with you soon. Where are you located? How much it cost to do the shop.com business? Is motives a separate cost for shop.com business? Do you have your own motives training! I am in South Florida based and have team members all over the United States and Canada. Most people register their business with one of the Fast Start Program Kits for $399. There is the Market America Fast Start Kit, TLS Weight Management Fast Start Kit, a Web Center Fast Start Kit, or either of the Motives Cosmetics Fast Start Kits. 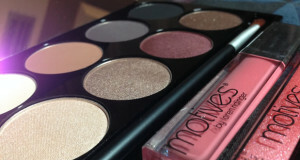 Motives Cosmetics does not include any separate costs. If you are a Market America/SHOP.com distributor, then you are also a Motives Cosmetics Distributor and vice-versa. I sent you some information by email. I would like to learn more about selling motives in our salon. I replied to you by email earlier today. I’ll look forward to your reply. Thanks. I just emailed you some information. I look forward to speaking with you. I will email you some information momentarily. I have emailed you some information. Please reply to that email with the best number to reach you at. I am sorry for the delay. I am emailing you some information right now. I would love to receive more information on becoming a Motives beauty consultant and distributer! I look forward to hearing from you. Thank you for filling out the contact form above. I just emailed you some information and I will try calling you shortly. I’m having a beauty workshop on october 12 and I would like to get a partnership with you guys. Could you contact me asap to get more details? It was a pleasure speaking with you earlier today. I look forward to answering more questions for you again tomorrow. I emailed you some information. Please respond to my email with your number so that I can give you a call. Can you please email me some information on how I can make money with motives cosmetics? Yes. I emailed you some information. We do have operations in Australia. I tried to send you some information at the email address that you provided. The messages bounced back to me though. Perhaps you had a typo in your address. I am interested and would like information on how I can make money with Motives Cosmetics. I emailed you some information. Please respond to one of my email so that I may answer your questions. I sent you some information via email. Please reply to the email to let me know you received it. I want to be your distributor in the United Arab Emirates Is it possible that? I’d like to know more info on making income with Motives in more detail. I just emailed you some information. Please respond to my email so that I can answer all your questions. I like to learn about this. Can i have a motive beauty pack in sri lanka. I need info on how to become a motives distributer please send me some info thank you!!! Thanks so much for filling out the request form on this page so that I have all your contact information. I just left you a voice message and I’ve already emailed you more information to review. I am looking forward to speaking with you. It was nice speaking with you. I am looking forward to answering more questions and determining next steps during our follow-up call. It was nice speaking with you. I am looking forward to our follow-up call. I would love to learn and grow along side this team. I’m on disability and need somthing to keep me busy and interested.Thank you for the oppurtunity. I tried to email you some information at the email address you provided but Google bounced it back and said the address does not exist. Please fill out the contact form at the bottom of this page and I’ll get in touch with you right away to answer all your questions. I emailed you some information. I hope to hear back from you soon. I have just emailed you a bit of information. I hope to hear back from you soon so that I can answer all your questions. I just emailed you some information. Please contact me by responding to my email so that we can discuss your goals and how Motives Cosmetics can help you to achieve them. I will love to be a distributor for Motives..THANK YOU.. I enjoyed speaking with you. I am looking forward to answering more questions after you’ve reviewed all the information that I sent. I would like to know more about becoming a distributor please, thank you ! I am looking forward to speaking with you next week after you’ve reviewed the information that I sent you. I would love info on getting started with Motives. I emailed you some information last week. I am still waiting to hear back from you. Was browsing through pinterest and saw your amazing looks and products. I love ALL fashion. I’m excited to learn more about your products, also being a representitive/distributor. This sounds very exciting. Am eager to hear more! I emailed you a lot of information on the 21st. Please reply to my email with your contact information and I’ll be happy to answer more of your questions. I am very interested in becoming a Motives pro artist, I would love to get all the info I need to get started. I just emailed you some information. If you do not see several detailed email from me then please check your spam folder. I emailed you information on January 29th. Please write back or give me a call so that I can answer more of your questions. I tried emailing you some information however the email bounced back to me. There is a problem with the email address that you provided. Please use the contact form at the bottom of this page to provide your contact information and I will get in touch with you. Iwant to become an advisor in Bahrain ,, can I ?? I am sorry. We do not have operations in Bahrain at this time. I emailed you some more information this afternoon. I emailed you more information. I really want to become apart of your team. How do I start? I just graduated cosmetology school. It was great speaking with you. I am looking forward to working together. I just emailed you on the Pro Artist Program and on how to become a Beauty Advisor. Please reply to my email and I’ll be happy to call you to answer even more questions. Thanks. I am very glad that you are a fan of the Motives line.